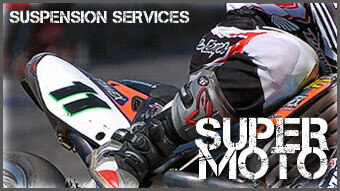 Supermoto suspensions require a specific balance of valving and spring rates to handle the variations of terrain. Many taller riders don’t require the suspensions to be lowered but other shorter riders do. No matter your size or ability we can build a set up designed for you and your needs. We have worked with some of the top SM riders in Colorado and National riders to perfect our set ups.